I always get really wiped out by the flu. It clings on for weeks, and who has the time to be sick for weeks?! So the last time i had the flu, i went online and began a hunt for natural remedies to cure... or at least shorten the time of it considerably. Let me tell you, there are a lot of ridiculous remedies out there, down right superstitious some of it. But i did find a couple of remedies that really did the trick for me. This "concoction" tastes like eight shades of funky,but really helped me . Instead of being sick for weeks, i was back to work after 3 days!! Now this can be different from person to person, depending on how sick you get,and if you get proper REST!! because rest is key to getting well faster as well. If you don`t like stevia,you can use honey. 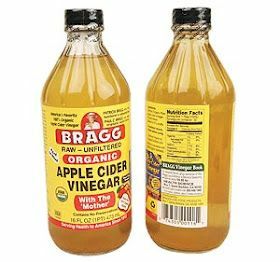 The reason why this actually works ,is because of the acid in the vinegar, no bacteria or virus can live in an acidic environment. I would drink several of this during the day , maybe 2-3 x 5oo ml. Cinnamon has a lot of antioxidants and has anti-inflammatory Properties. Honey is antiseptic, antibiotic,anti fungal ,and antiviral. And is known for having Medical properties. add as much cinnamon to make a thick but still "runny" paste. 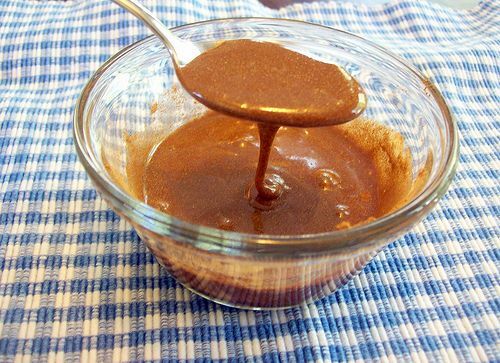 Basically you mix honey and cinnamon into a paste and eat 1 tsp at a time, 3-4 times a day. Have a great day and get well soon ! My favorite hair and shower products....at the moment. My journey to running 5K! Want beautiful exotic olive skin?.......Fake It! !